Recently, I wrote two LEGO STAR WARS books for Scholastic. 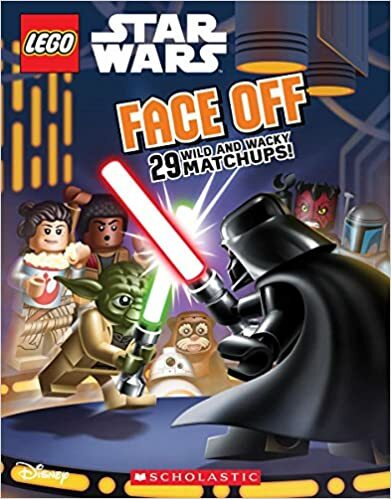 The first one, LEGO STAR WARS: FACE OFF (illustrated by Dave White), is out now. 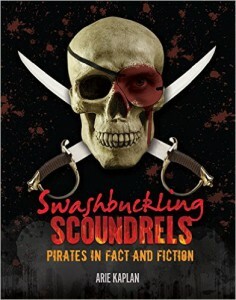 You can see some excerpts from the book HERE. The second LEGO STAR WARS book that I wrote is called THE OFFICIAL STORMTROOPER TRAINING MANUAL, and it comes out next month. And guess what, you lucky people? You can see some excerpts from THAT book HERE. I talked a little bit about what it was like writing those LEGO STAR WARS books when I was a guest on the COMICSVERSE podcast, and you can listen to that podcast interview here. I’ve also been working on a few projects for Disney Book Group’s Marvel Press imprint. 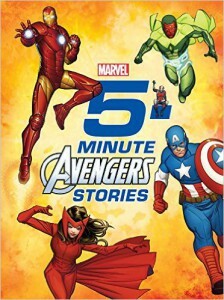 For example, I wrote three of the stories in the 5-MINUTE AVENGERS STORIES collection, which is out now from Marvel Press. 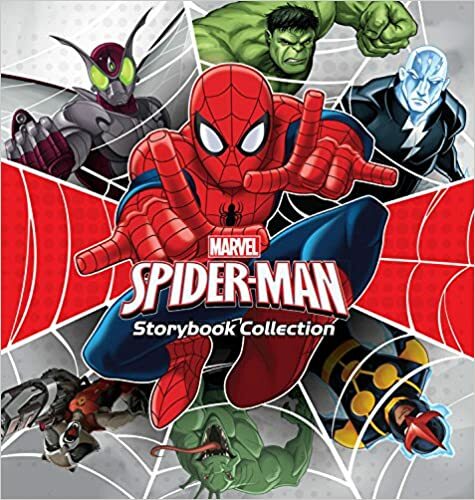 I also wrote one of the stories in the SPIDER-MAN STORYBOOK COLLECTION, which is also currently available. And I wrote two of the stories in the 5-MINUTE SPIDER-MAN STORIES anthology, which will be published by Marvel Press in June 2017. (I don’t have a cool link for that, but I should soon.) Interestingly enough, one of the stories that I wrote in each of those anthologies is a time travel story (and yes, there’s a reason for that). And starting in January 2017, I’ll be doing a series of pop culture-oriented lectures at NYC performance space QED Astoria. 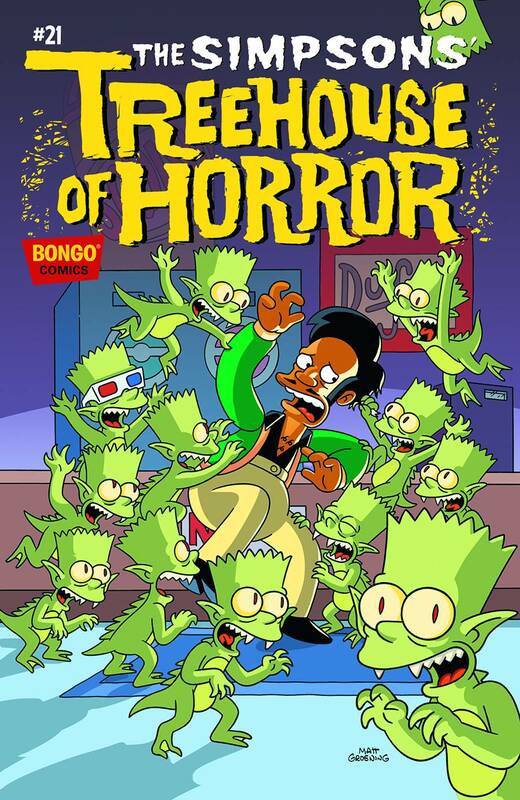 The first one is a talk on the Golden Age of Universal horror movies (e.g. James Whale’s 1931 FRANKENSTEIN). It’s called “THE MONSTER MAKERS: UNIVERSAL PICTURES, CARL LAEMMLE JR., AND THE GOLDEN AGE OF HOLLYWOOD HORROR MOVIES,” and I’ll be giving that talk on January 7, 2017 at 2pm. I’ve also got quite a few other speaking engagements slotted for various dates in 2017, and I’ll be posting the specifics on THOSE lectures here soon too. I’ll be signing copies of my newest comic book story, “The Story of the Ocean,” at New York Comic Con this Friday, October 12th, from 1:30-2:30 pm at the History Channel’s booth, #1664. “The Story of the Ocean” will be published next month in the anthology MANKIND: THE STORY OF ALL OF US, Volume 2. 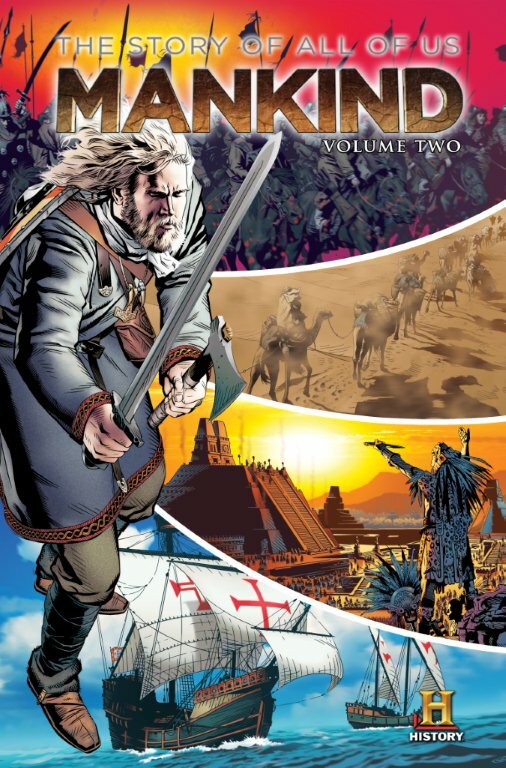 Zenescope Entertainment’s YA imprint Silver Dragon Books has partnered with The History Channel to publish the MANKIND graphic novels, which will be tied-in to the launch of History’s new television event of the same name.